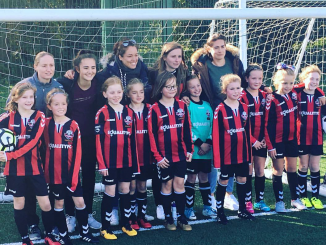 Lewes won through to the Sussex FA Women’s Cup final, with a 4-1 defeat of Brighton & Hove Albion Development on Wednesday 24th January. 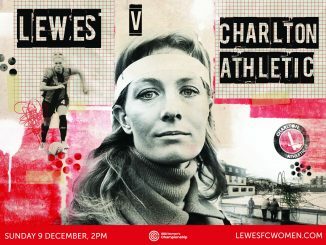 Charlotte Owen marked her return from injury with the only goal of the first half, shooting past Laura Hartley to give the Rookettes a 17th-minute lead. The advantage was doubled on 65 minutes with Georgia Bridges in the thick of it, although the ball crossed into the box appeared to go in off a defender. Lewes had a goal direct from a corner kick ruled out for a foul before Brighton made Lewes pay for some untidy defending, halving the deficit inside the last 10 minutes. When Avilla Bergin collided with Hartley she had to be carried off but from the loose ball Bridges had restored the two-goal cushion. Bridges then won a penalty after being felled by the Albion keeper and converted to complete the scoring at 4-1. Lewes now wait to see who their opponents will be at the County Ground on Thursday 22nd March. 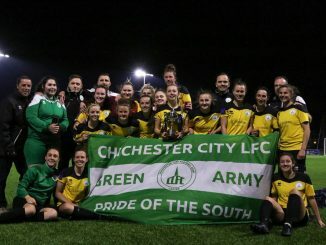 South East Counties Premier Division Eastbourne Ladies face London & South East League leaders Crawley Wasps in the second semi-final on 11th February. Crawley were runners-up last season, beaten 5-1 by Brighton’s first team.